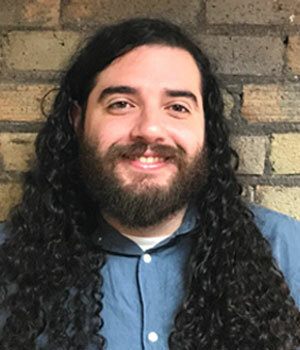 David Maldonado, Development and Member Engagement Coordinator, joined our team in September 2017. He brings experience in community outreach and workforce development to his role, where he focuses on strengthening TLC-Smart Trips member engagement, and assists with fundraising and communications for the organization. Raised in West Saint Paul, David currently resides in the Frogtown neighborhood with his kitten Cabezón. David’s family is Chilean and when he’s not dreaming of vacations back home, his is likely to be dreaming of food in general.